I've been wanting a screw-in infrared filter for quite some time. 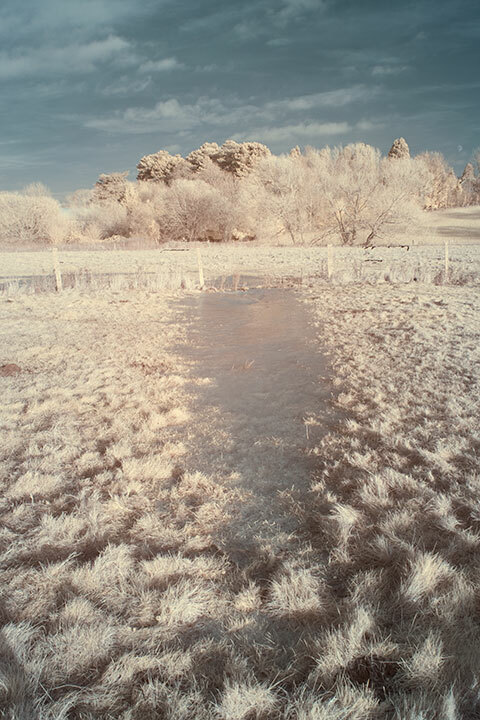 Although my Hitech Resin infrared filter is fine, it is somewhat inconvenient to have to use a Cokin P filter holder to attach it to the lens, or otherwise just hold it in front of the lens with your hand. The problem is that the infrared screw-in filters from B+W and Hoya are pretty expensive. And cheaper unbranded filters from eBay are an unknown quantity. Recently I saw some Zomei branded filters for sale on eBay. After doing a bit of research, I found a little bit of information about them, but not a lot. There were a couple of negative reports, these were saying that the filters were red rather than infrared. 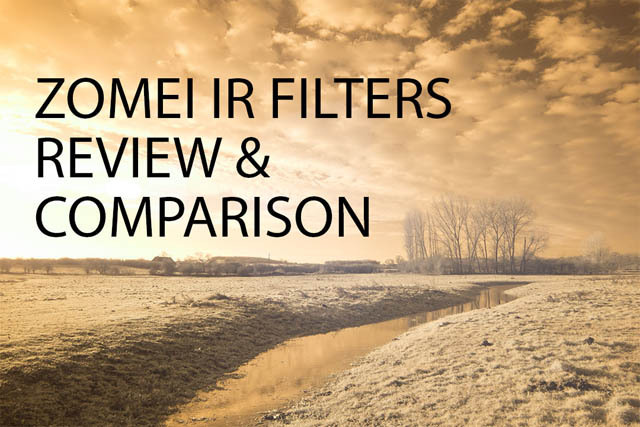 These reviews didn't state what infrared filter they had bought (Zomei offer a variety of different IR filters with different wavelength cut-offs). And neither did they state whether they were using the filter with a full spectrum converted camera. Given this (lack of) information, it seemed to me that the negative reviews were probably based on a filter that passes some visible red light, and the reviewers were using them on cameras that had not had the internal IR hot mirror filter removed. (So most of the IR passed by the Zomei filter was blocked by the camera's internal filter, thus resulting in an image composed mainly of the red light the Zomei filter passed). A problem with the reviewer's expectations, not the filters themselves. 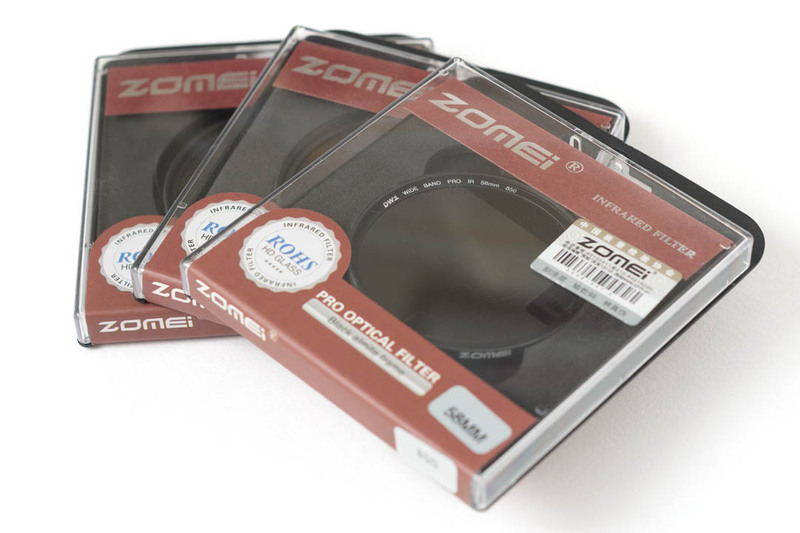 So I decided to purchase a set of three Zomei IR filters, and see how they fare. I purchased a set of 680nm, 760nm, and 850nm filters from the eBay seller bingozomei . I decided to go for a 58mm size as this is cheaper than larger sizes, and will fit my general purpose 16-50mm lens without any need for stepping rings. The cost for this set was £27.92, with free postage from Hong Kong. From the day I ordered to the day the filters arrived was 2 weeks, and this was over the Christmas period. Quite a few items I've ordered from Hong Kong / China have been arriving in about 2 weeks lately, which makes a nice change to the month long wait that often has to be endured. Interestingly, the parcel (a jiffy bag) arrived with a Royal Mail label and no customs label. The label gave a return address of Stonebridge UK Ltd in Portsmouth. Strange. The filters each come in a separate case, which is the same for each filter. The case seems designed to be able to fit much larger filters (according to the blurb on the back of the case, the filter sizes go up to 105mm). For these 58mm filters, that means the case is quite a bit larger than it needs to be. On the plus side, each filter is held securely in the case by correctly sized foam inserts. This is better than most of my other filters, where the filter can rattle about freely within the case. The build quality of the filters seems reasonable. The listing I purchased the filters from indicated that the filters were super slim models (meaning they are less likely to vignette on super-wide lenses). However, the 680nm filter I received is a standard filter size, while the 760nm and 850nm models are both super slim (though different in design to the images in the eBay listing). The slim models both have their info printed on the inside of the rim, around the glass. This means you can easily look at the filter from the front and see which filter it is. Since the cases the filters come in are generic and don't have the filter name in large writing on the front, this is quite useful. The non-slim filter has the filter info printed around the outside edge, which isn't quite as useful. I'm not sure why they couldn't print the filter information both round the outside edge and the inside rim for the best of both worlds. Looking through the filters, the 680nm filter is red, but the view through it is quite dark. The 760nm and 850nm filters both appear opaque. 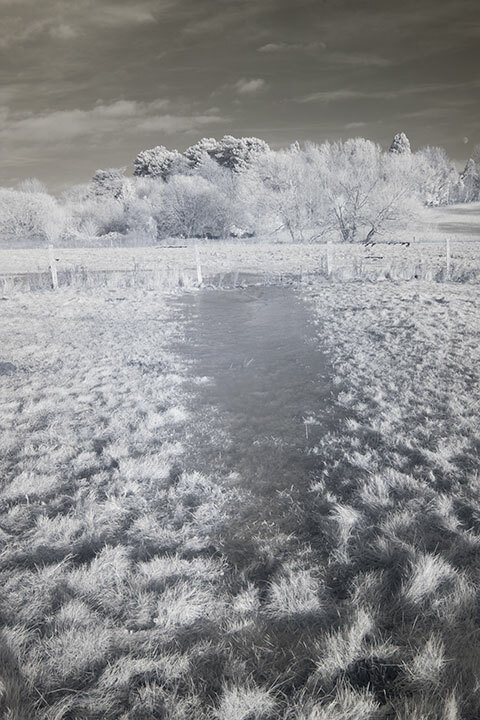 To test the Zomei Infrared filters I took a photo using them and some of my other infrared filters for comparison. For each image I shot RAW, and set the white balance in ACR on the grass. Some of the images I've applied a channel mixer adjustment to, this is noted below. Each image that has had the channel swap has had the channels swapped using exactly the same adjustment. Next we have the Hoya 25a Red filter. You can find the transmission curve for this filter here: Hoya 25A Red filter information. Channel Mixer was applied to this image. Then we have the Lee Tricolour red polyester filter, below. According to the packet, this filter has a transmission cut-off of around 610nm. That would be around the same as the Hoya 25A, and both shots are very similar, bearing this out. Again, channel mixer was used. Zomei 680nm filter (below) unsurprisingly gives us less colour than the 610nm red filters. Channel mixer used. Hitech 720nm resin filter (below) gives slightly less colour than the Zomei 680nm filter. I would have expected to see a bigger difference between 680 and 720nm. The Zomei 680nm filter doesn't look half way between the 610 and 720nm filters, it looks much nearer the 720nm. The Zomei or the Hitech could be off in their specification, or they could both be specified correctly but have differences in how sharp their transmission curve is. Channel mixer used. The Lee #87 730nm polyester filter (below) gives a pure infrared image. The sun had moved behind hazy cloud so there is less contrast in this image, it was the last image I took, but I'm presenting the filters in order of their claimed wavelength cut-off points. 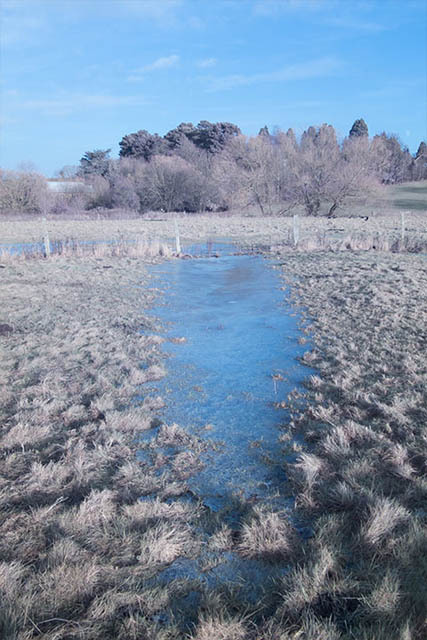 The Zomei 760nm filter (below) gives less colour than the Hitech 720nm, but it still has some colour. It is not pure IR, despite having a cut-off point 30nm more than the Lee #87. Either the Zomei has a very gradual slope in its transmission or the Lee filter has a higher cut-off than 730nm. Zomei's 850nm filter (below) appears very similar to the Lee 730nm. The exposure is faster (which would indicate it is passing more light, not less than the Lee), but the Lee photo was taken in lower light levels. I'm not sure what the transmission curve of the Lee filter is like, but I would guess that Lee's figure of 730nm is more accurate than Zomei's 850nm. In other tests (where there were no clouds), the exposure of the Lee 730nm and the Zomei 850nm were about the same, indicating they both pass around the same amount of IR and probably have a similar cut-off point. What I see from this is that the lens flare remains fairly constant, but gets more noticeable the higher the wavelength cut-off point. The Lee #87 polyester filter is noticeably the worst, with a reduction in overall contrast. However this is likely in part due to just holding the filter (a flimsy piece of polyester that easily bends) in front of the lens. If it was actually mounted properly in a filter holder the results would likely be better. The Zomei filters don't seem to be worse than any of the other filters, but nor do they seem to be any better. I'm not going to post any images here as my testing wasn't very good. 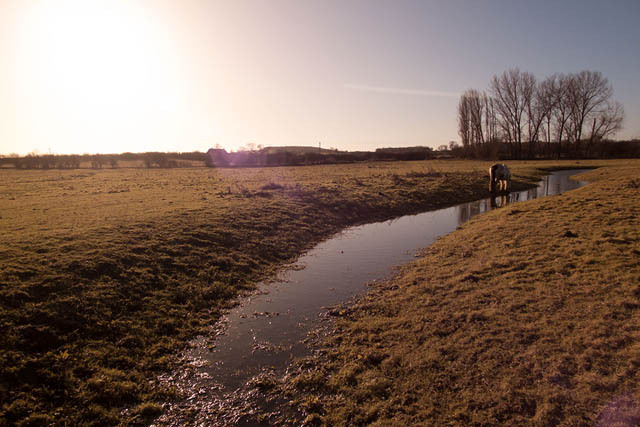 I tested with my Fuji 16-50mm lens near the wide end (the previous pics, plus some other tests that had to aborted due to the sun moving behind cloud for a long period). And I also tested them on this lens at the long end. But the real 'stress test' is with a telephoto lens. I used my Nikon 70-300mm VR lens with an adapter for my Fuji camera, at 300mm. This lens has no tripod collar, so it was hanging from the camera (via an adaptor) - not exactly the most steady combination. I had to manually focus with the lens, and looking at the pictures on my computer, it looks like I missed focus on a couple of the test pictures. However, I can say from the tests that there doesn't seem to be any degradation in image quality from the Zomei filters, even in the extreme 300mm test. 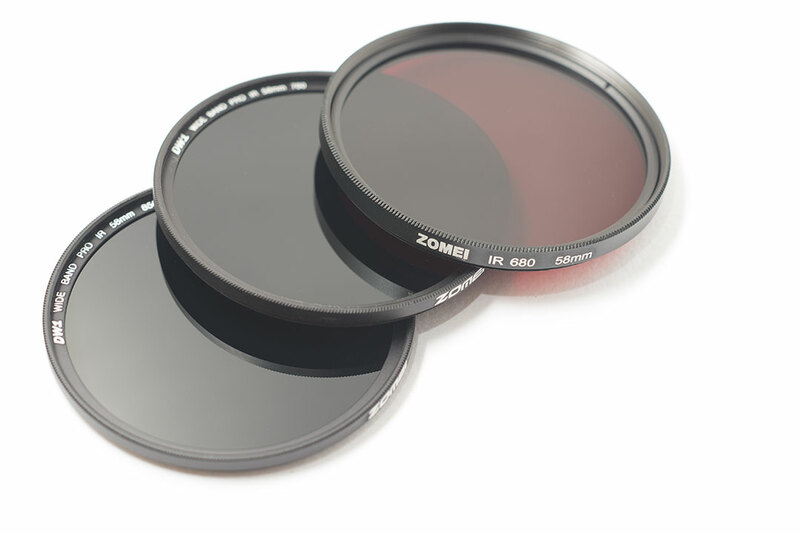 As far as the quality of the Zomei filters go, they seem fine to me, and great value for the price. I'm not so sure on the wavelength cut-off labelling though. The 680nm filter seems to cut more red light than I would have thought, while the 760nm and 850nm filters seem to let through more shorter wavelength light than I would have thought. Since I have no way of testing the actual transmittance of these filters, I can't say whether the Zomei filters are labelled correctly and my other filters incorrectly, vice versa, or it just being a difference in how quickly their transmittance falls off. 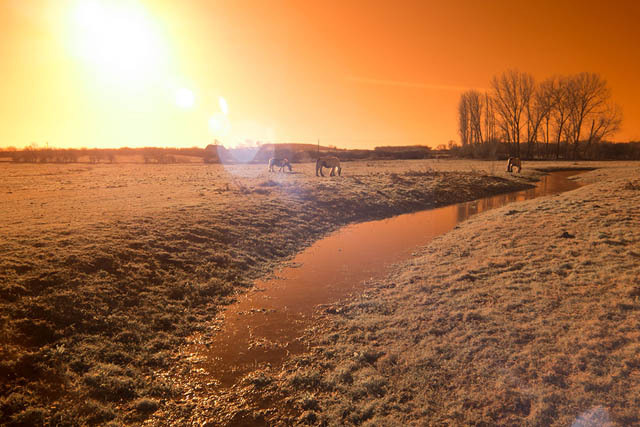 The question now is, how to determine which filter is the best to use, given the scene being photographed? I don't know, but I'll certainly have to give it some thought. 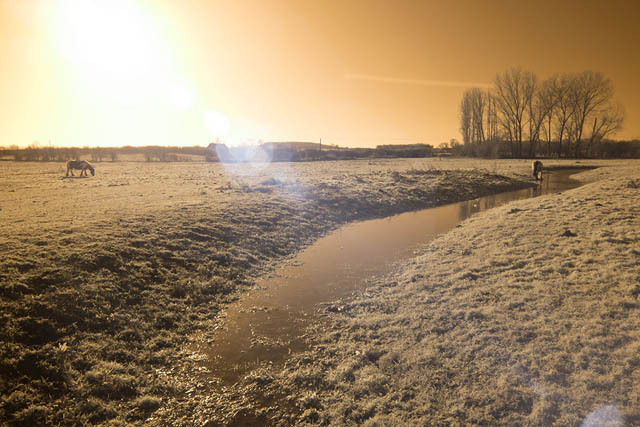 Update 2015-03-09: On further testing it appears that the Zomei 850nm is not a completely 'pure' IR filter, and does let some visible light through. The amount of visible light it lets through is imperceptible when using a full spectrum converted camera (as I was for the tests above). However it is quite noticeable when using it on an unconverted camera that still has the infrared blocking filter installed over the sensor. 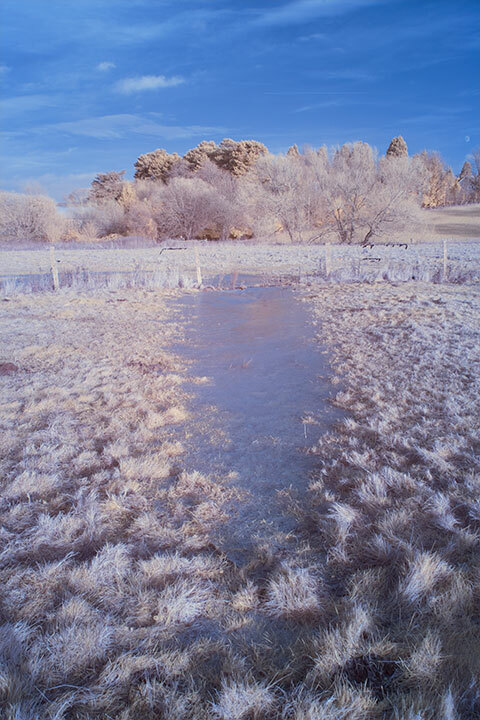 Update 2015-04-13: I've now posted a comparison showing the Zomei filters used on a camera that has not been converted for IR work and still contains an IR blocking hot mirror over the sensor: Infrared photography – Unconverted vs Converted camera with different IR filters comparison. Thank you very much for a useful review! Exactly what I was looking for. I recently bought a generic 850 nm IR-filter, but it is apparently too strong for my camera (classical Canon 5D) which, I learned, has a rather strong IR block. I took an indoor shot of the palm of my hand, exposed for about 30 seconds, with maximum aperture; however only after 5 stops of increased exposure on RAW editing was it visible (and as one might expect the result was terrible, all was magenta and dull). It did not say in the article explicitly whether your camera is IR-converted, although I guess you are refering to precisely that when saying “full spectrum”. Correct me if I am wrong, please. Do you think a Zomei 720 nm would work satisfactorily for me? I know for a fact that the camera captures some IR: tried with the IR bulb of a remote control. Sorry for the delayed reply. Yes, my camera has been converted to be sensitive to infrared light. Full spectrum just means it is sensitive to UV, visible, and infrared light. For a camera without the IR blocking filter removed, when you use a filter that lets through some red light (such as a 720nm filter), you will end up with an image that contains a lot of red light and a bit of infrared light (depending on how strong the IR blocking filter is). 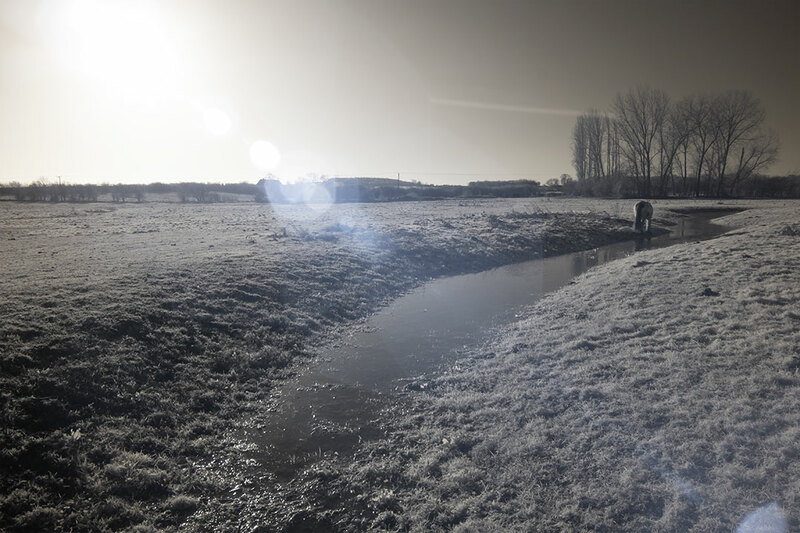 Whereas for a camera without an IR blocking filter, you would get an image that has a lot of IR and a bit of red. With an 850 nm IR filter you should get a pure IR image whether your camera has an IR blocking filter or not. 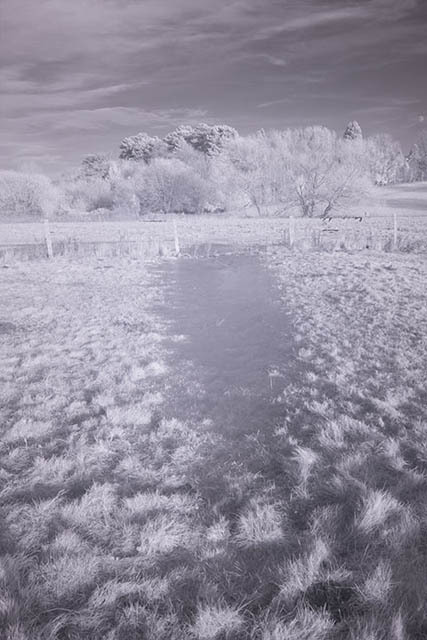 The only difference is that with an IR blocking filter you’ll need a lot longer exposure than with a converted camera. 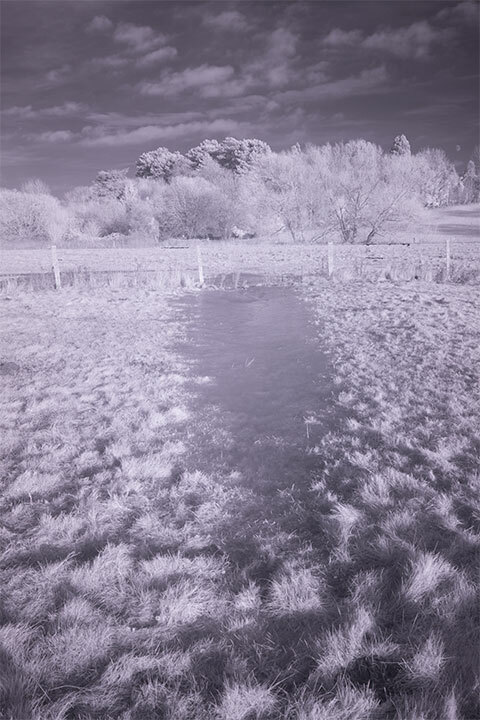 You shouldn’t necessarily see this as being a bad thing, long exposures can produce some very nice results: Long exposure IR with unconverted 5D MkII. 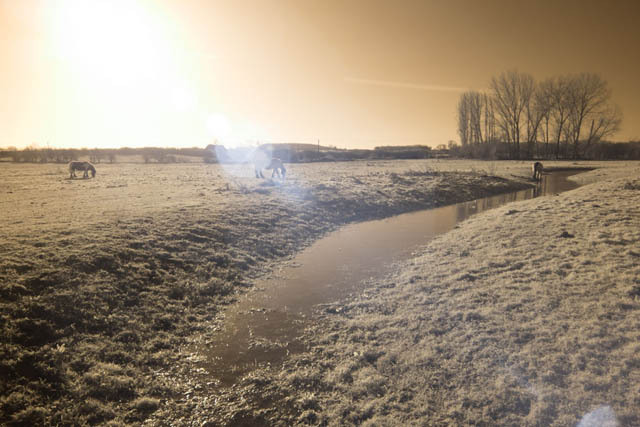 You can see a (not particularly good) comparison I did between my converted and unconverted Fuji cameras here: Can the unconverted Fujifilm X-A1 be used for infrared photography?. (This comparison was done before I got the Zomei filters, I could probably do a much better one now – maybe I’ll try another comparison if I get time). Have you tested the Haida filters? I didn’t even know Haida made IR filters. Their ND filters have a good reputation, so I’d expect their IR filters to be good quality, but can’t say for sure. I have a bit of an unusual situation and I hope that you may be able to help with it. 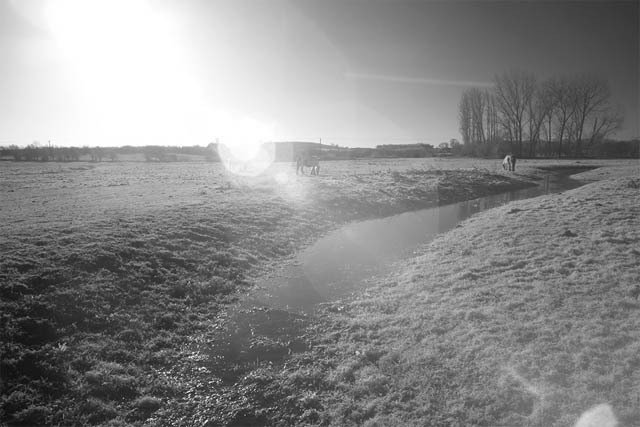 I am currently running tests to allow me to use an IR light that I bought (rated for 850nm) and night vision goggles to work with Agfa B&W aerial film. 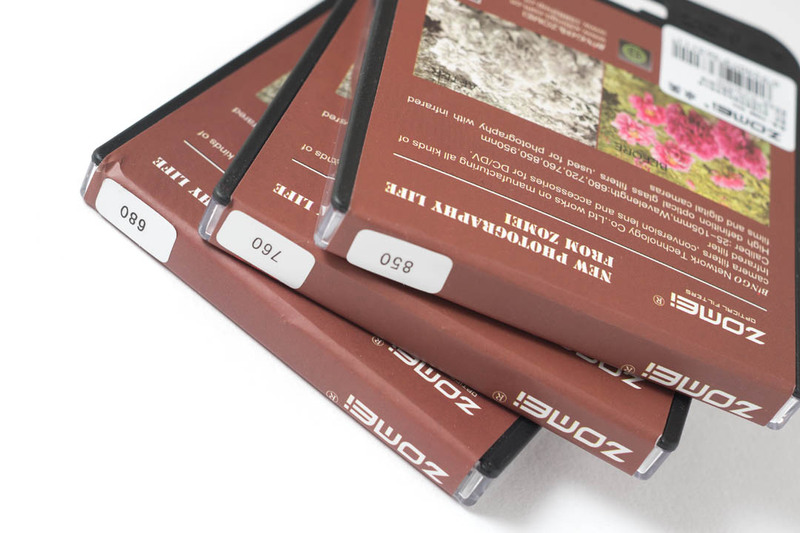 The film is rated panchromatic to 750nm. The problem that I am encountering is that the light has a slight red glow and this glow is fogging the film. Do you know if the 850nm Zomei filter will completely block all visible light from the IR unit and therefore be safe to use with the panchromatic film? If so, I can build a safelight using the filter as a lens. Apologies for the rather delayed reply. The Zomei filters do pass some visible light, so may not be suitable for your purposes. I’d suggest looking at the Lee #87 polyester filter – it’s only rated for 730 nm but does a better job in my experience of only letting through IR light than the Zomei filters. Plus it’s cheaper. Would an IR 72 filter be a good choice to save me on post processing headaches or is there something i’m missing in the channel swap process or Lightroom that can make it simple? Thanks! 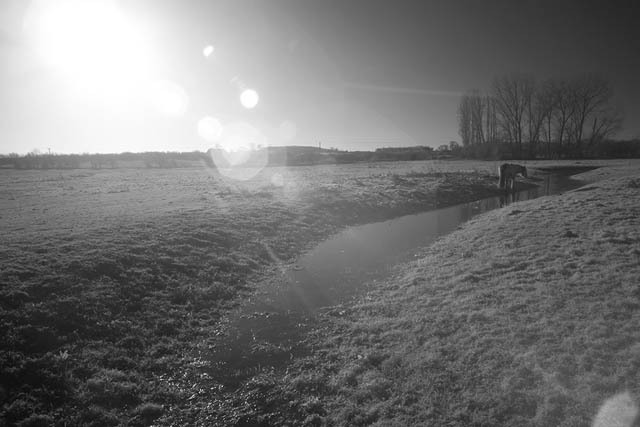 Here’s an example image taken with a Lee Light Red filter, which is hopefully quite similar to your camera. With a 720nm filter I get the same result but less colour. If you have an image taken with your camera you can share, I can try processing it and see if I get the same result as you or not. Or I’m happy to email you a copy of the image above if you want to try processing it with your workflow and see if you get the same result as me. That would at least narrow down whether it’s the processing or the original capture causing the problem. I’m looking into IR myself and considering converting my X-E1 back up body to 590nm. With that conversion in mind I am looking to the ZOMEi 680, 760 & 850nm filters to provide what I think will be a range for IR work. Any comments you might have would be greatly appreciated. Apologies for the late reply. 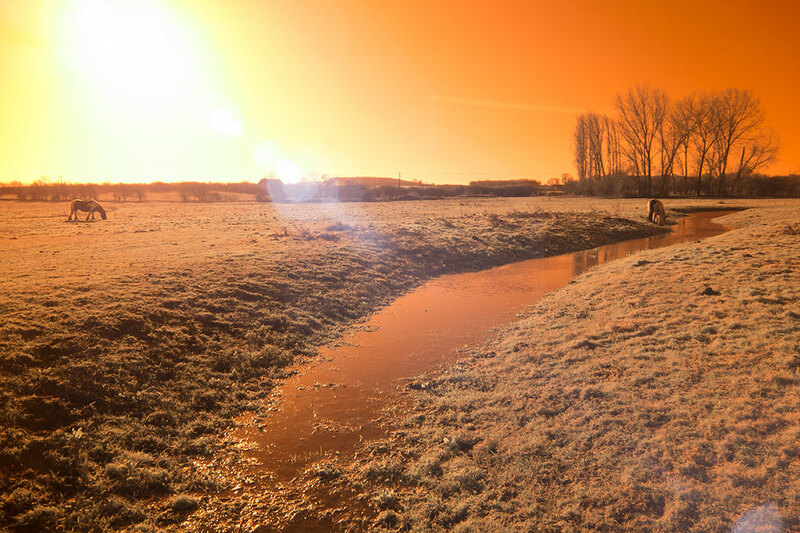 I think the Zomei filters should work fine with that combo. My personal preference for camera conversion is always full spectrum, simply because then you’re only limited by what filters you want to use. So in the future if you wanted to try a lower filter, such as 500nm or a UV pass then you can. But of course a camera converted with a specific filter has it benefits as well, since to use it at whatever the base is (590nm in your case) then you don’t need to mess around with adding a filter to the lens. Changing lenses you don’t need to change the filter. And lenses with no filter threads will still be filtered. And you can still add higher cut filters like you suggest for different effects. So there’s pros and cons to either approach with the camera conversion. But regarding the Zomei filters, so long as you’re working with a converted camera, then I think you’ll be fine.